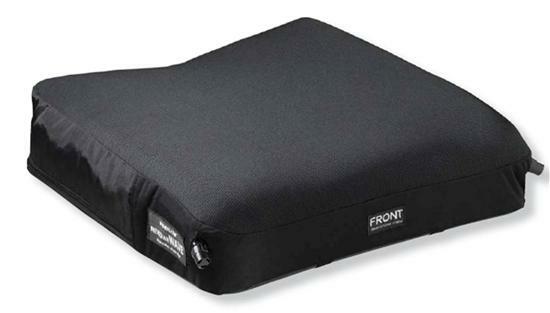 The low weight of the cushion makes it ideal for people who are in self-propelling wheelchairs, and studies have shown that this cushion is #1 in regard to vibration and impact reduction. The cushion has a unique self-inflating valve, which allows air in and out of the cushion so it can contour to the user's shape, to ensure that the user's weight is distributed evenly over the surface of the cushion. 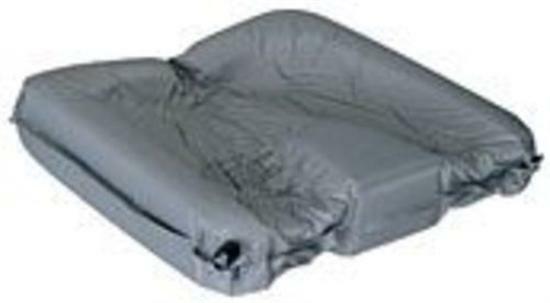 Air supports the load, while the foam keeps the air where it is needed, preserving the cushion shape and preventing bottoming out. Functional areas of the cushion are created by three types of foam: soft foam for the decubitus-sensitive area of the ITs; medium foam for the thigh troughs, pelvic bucketing and pre-ischial ridge; and firm foam for the perimeter and medial thigh separator. The underside of the cover is a rugged non-slip material with Velcro for added security.